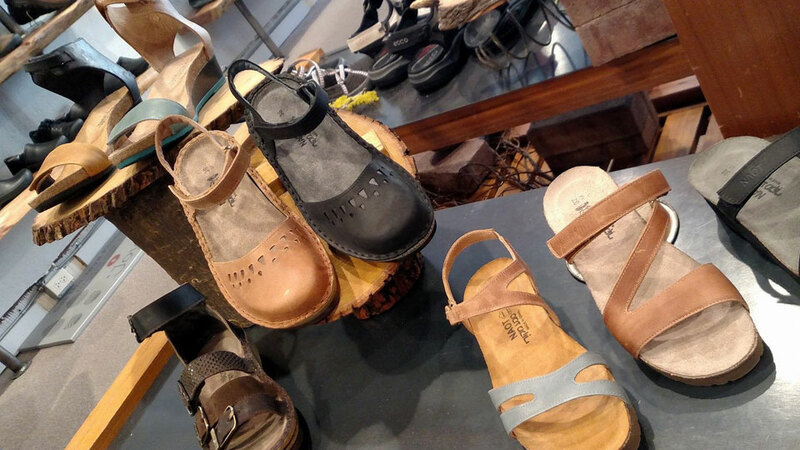 Birkenstock of Bend has a passion for its products, an appreciation of their heritage and a genuine belief in their benefits. Located on Wall Street in downtown Bend, the shoe boutique carries quality products that are comfortable, unique, timeless and respectful of the world around us. Of course, you will find a tremendous selection of Birkenstocks in the latest styles and colors, and a full range of sizes, from children through adult. Birkenstock of Bend also stocks other well-known, quality brands of comfort shoes, boots, sandals, clogs and slippers; Wolky, Earth, Naot, Samuel Hubbard, Bogs, Sorel and Superfeet, to name just a few. While you are there, remember to pick up socks for the whole family as well as shoe care products. Birkenstock of Bend’s attentive, knowledgeable staff is ready to welcome you and help you find just the style you’ve been looking for. Come in and give your feet a sweet treat.